Based on 2418 customer ratings. The ripest tomatoes. The flakiest crust. The freshest meats and vegetables. That’s Giordano’s! Our Belmont/Lakeview location features a dining room with beer and wine selections, a semi-private party room and convenient online ordering for pickup and delivery. Wrigley Field. The Lincoln Park Zoo. The Laugh Factory. When it comes to homegrown, old world traditions, no other city can match Chicago — and Giordano’s is proud to be the best deep dish pizza place in the Windy City for over 40 years. Our artisans construct each and every stuffed, double crust pizza pie with the tender care our customers expect. Are you ready to go to pizza heaven? The Best Pizza Place in Chicago, Bar None Giordano’s constructs each pizza with the help of 6 artisans who we carefully train in our old world craftsmanship techniques. Imagine a mouth-watering pizza made with the flakiest crusts, baked to perfection and filled and topped with the freshest ingredients. We even have mozzarella made just for us from a Wisconsin farm — the fluffiest, most flavorful cheese you’ve ever had! 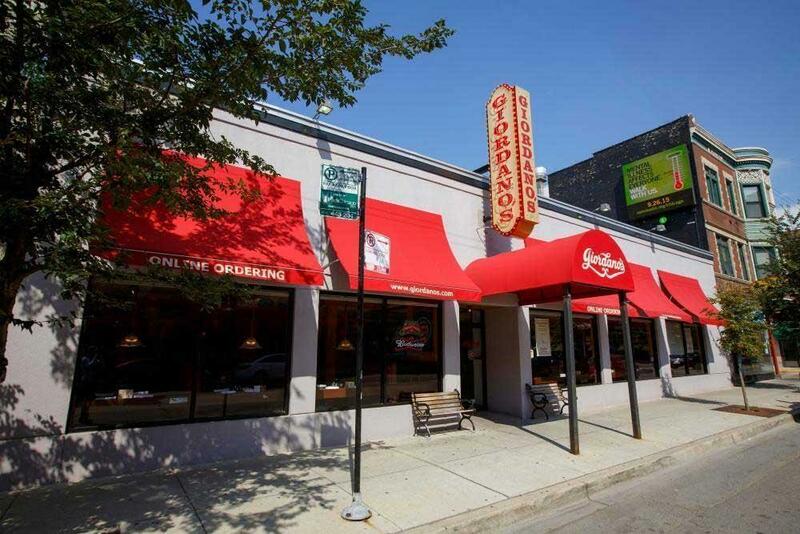 Our Belmont/Lakeview location is close to several popular Chicago landmarks, including the Music Box Theater, Belmont Harbor, The Apollo Theater, The Laugh Factory and Wrigley Field. Stop by before or after your big event — or just stop by — and try one of our delicious pies! We have a full menu, including pasta, salads, sandwiches and gluten-free options. Our Belmont/Lakeview location also features the best pizza delivery around!